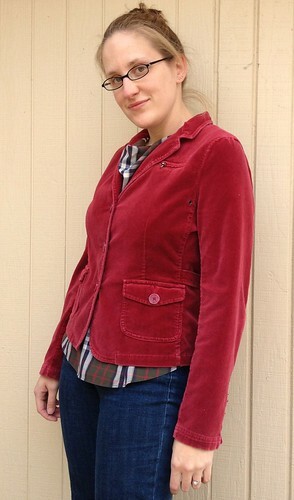 My college roommate has a thing for velvet blazers, so this week's thrift score is dedicated to her. Last year, I picked up this super soft and comfy jacket for around $5 at one of my favorite stores, Thrift City in Richardson, TX. Its deep raspberry color is perfect for autumn and winter, but could last well into spring if paired with a little floral dress or maybe a graphic black and white print. There are two small side straps to make it a bit more fitted if necessary. It even has these tiny little grommets under the arms for ventilation since velvet can be a touch on the warm side. Hurray! Another thrift store find that needs no alterations! Love the colour. Love velvet. Great idea to put it over a floral dress. Indeed, I'll have to try it once it's warm enough for naked legs again. Hi Carissa! I just LOVE it! great color, great pattern, and it fits you so well! 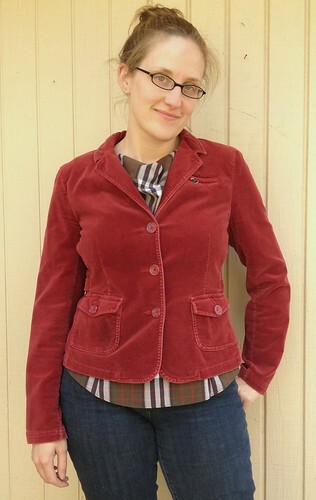 I got a velour blazer at a thrift store that is kind of a deep teal and I love it but have had no idea how to wear it. I'm a stay at home mom, so I don't need work clothes and don't like to look overly dressed up. 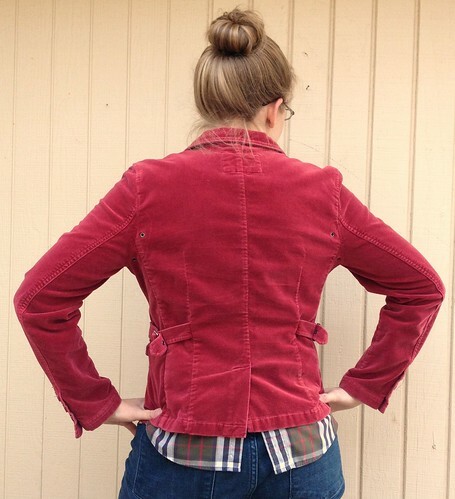 Thanks for sharing these blazer ideas to help me figure it all out!